Luis Mario Floría received the undergraduate degree (1977) and PhD (1983) from the University of Zaragoza, where he has held the positions of Associate Professor of Applied Mathematics and Associate Professor of Condensed Matter Physics. He has been Visiting Associate Professor in the Physics Department at the Carnegie-Mellon University (Pittsburgh, PA) and at the Institute for Theoretical Physics of the University of California (Santa Barbara, CA), scientific consultant of Los Alamos National Laboratory (Los Alamos, NM), and external collaborator of the Laboratoire Léon Brillouin at the Centre d’Études de Saclay (France). Currently, Dr. Floría is Professor in the Condensed Matter Physics Department of the University of Zaragoza, member of the Institute BIFI and leader of the research group Statistical and Nonlinear Physics, supported by the regional government of Aragón (DGA). He is closely linked to the research line of Game Theory in COSNET Lab. His main fields of research were initially Statistical and Quantum Field Approaches to Condensed Matter, Nonlinear Macroscopic Systems, and more recently he has been working on Complex Systems, Evolutionary Game Dynamics, and the Structure and Dynamics of Social Systems. Dr. Sandro Meloni was born in Rome, Italy, on October 2nd, 1982. He carried out his undergraduate studies at the Department of Informatics and Automation of the University of Rome “Roma Tre”. He got his Master Degree in Computer Science on December 21st, 2006 with the highest mark. In October 2007, he started his Ph.D at the same university under the supervision of Prof. Stefano Panzieri and Prof. Yamir Moreno. His PhD work dealt with the study of problems related to Epidemic and Traffic Dynamics on Large Technological Networks. 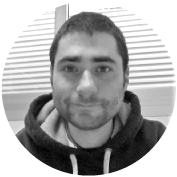 Nowadays, Dr. Meloni is a senior member of Cosnet Lab, at the Institute for Biocomputation and Physics of Complex Systems (BIFI) of the University of Zaragoza, Spain. He is interested in the analysis of Collective Dynamics on Complex Networks, Epidemiology, Diffusion Dynamics, Multiscale Epidemiological Models, etc. Dr. Meloni is a “Juan de la Cierva” researcher, a prestigious Spanish ministerial program involving young scientists with an outstanding record of scientific production. 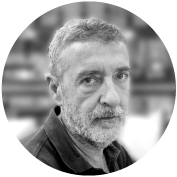 He has published more than 30 papers on different subjects, serves as a reviewer for several journals and was the Co-Chair of the flagship conference on Complex Networks, NetSci that took place in Zaragoza on June 2015. He has been at the Institute for Scientific Interchange (ISI) in Turin as a visiting scientist in several occasions. He has co-directed a PhD Thesis and attended numerous conferences and workshops.